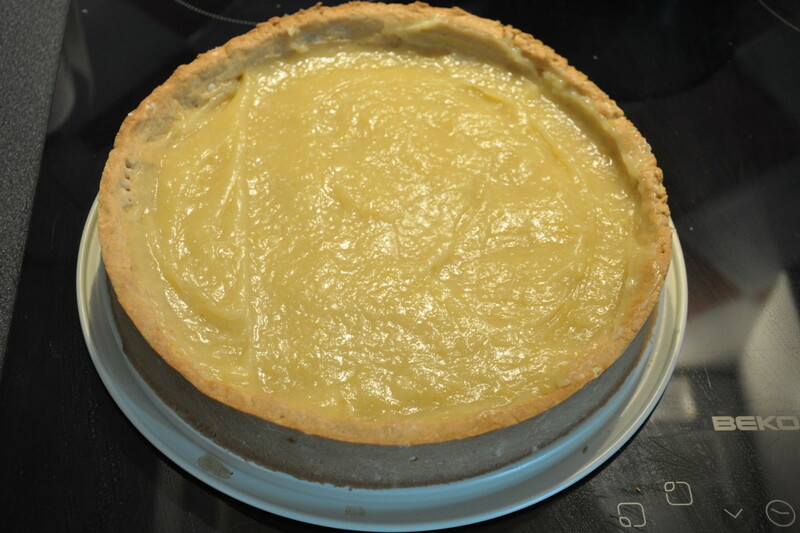 This is my version of the Tarte au citron-recipe my French colleagues suggested. 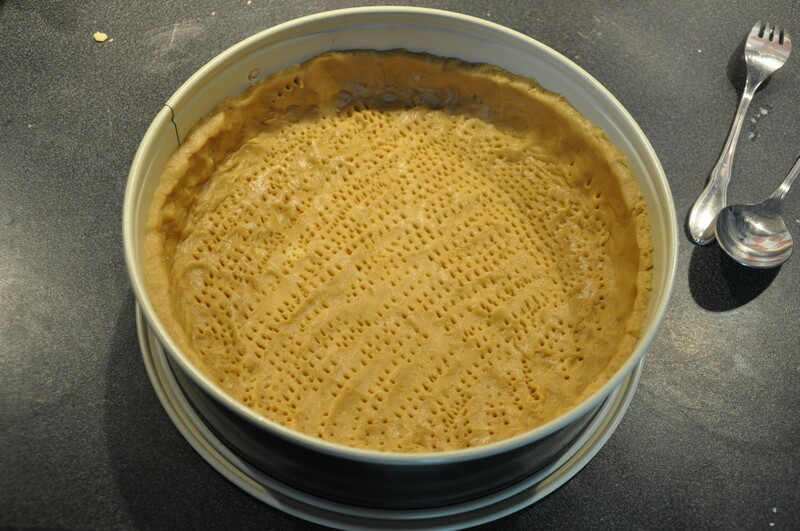 The original is from Marmiton – a popular recipes-site in France – here is the link. It’s in French. I will do the translation, supported with pictures and highlighted with my modifications. The photos are dating from the version I made for Christmas 2014. 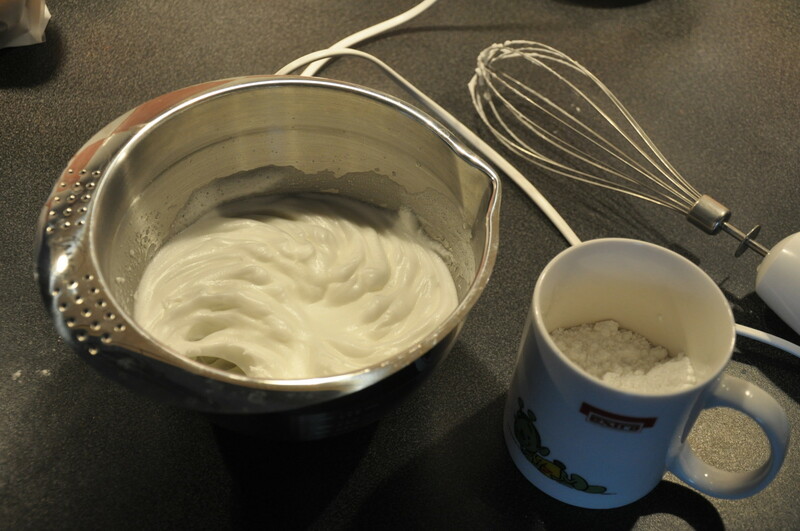 First, beat the egg whites and the pinch of salt in a bowl using an egg whisk, ideally motorized. 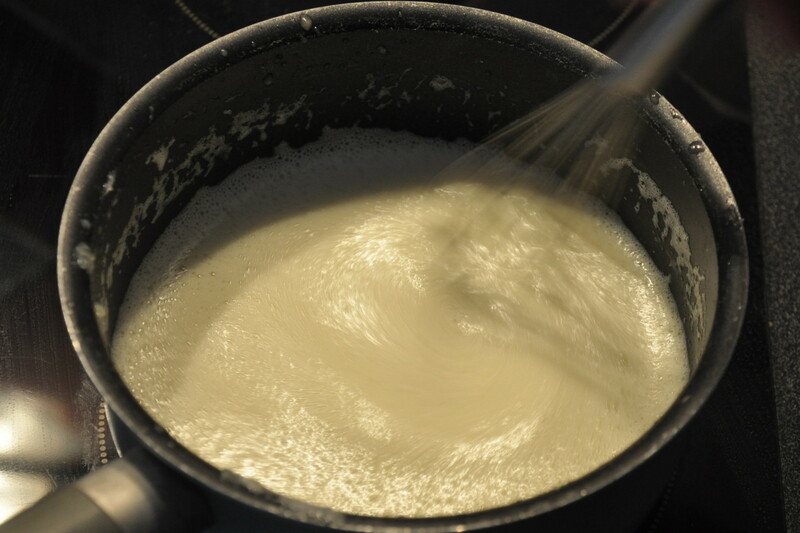 Do this until the egg white has become fixed and stable. 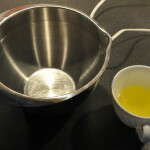 You need to be able to turn the bowl upside down (careful!) 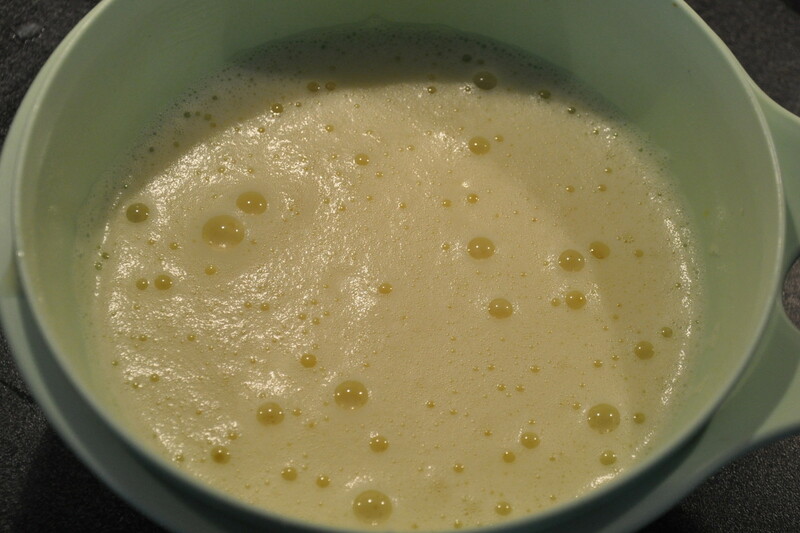 while the whisked egg white stays inside. 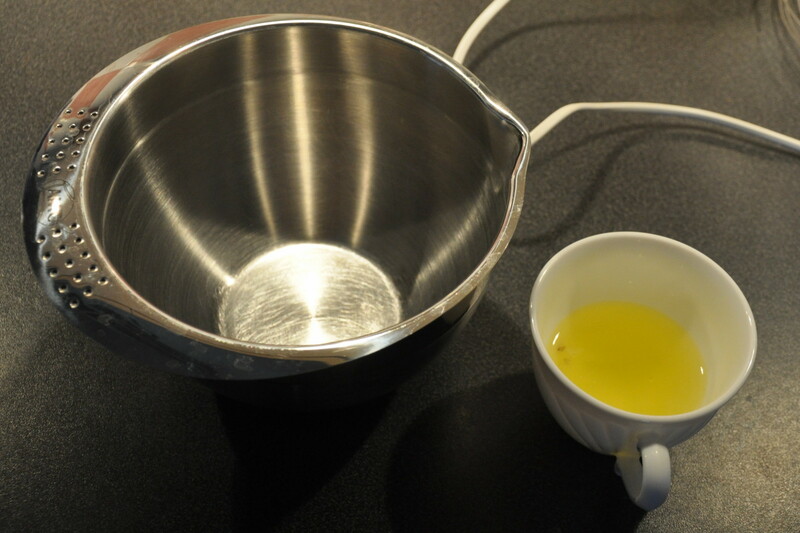 Make sure there is no more liquid on the bottom of the bowl. 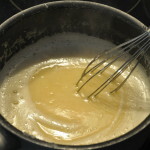 Continue with mixing in the icing sugar, two-three table spoons at a time, still using the egg whisk at low speed or manually. 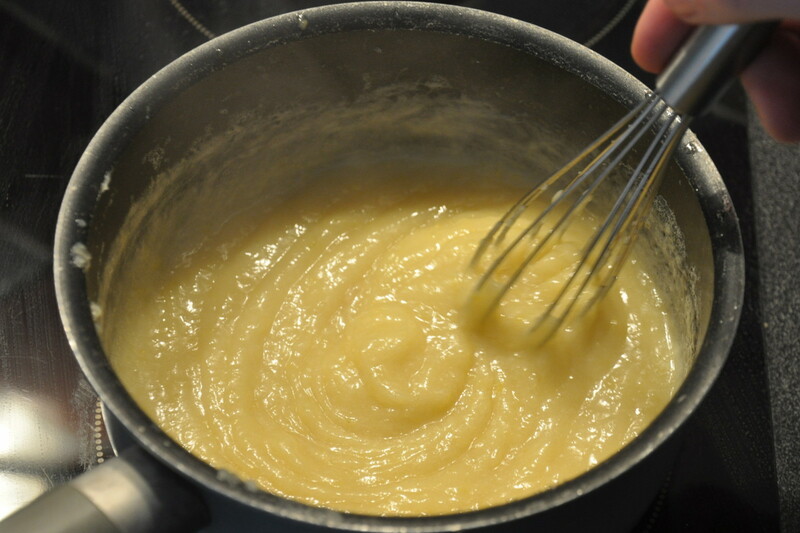 When done but the mixture in the fridge. 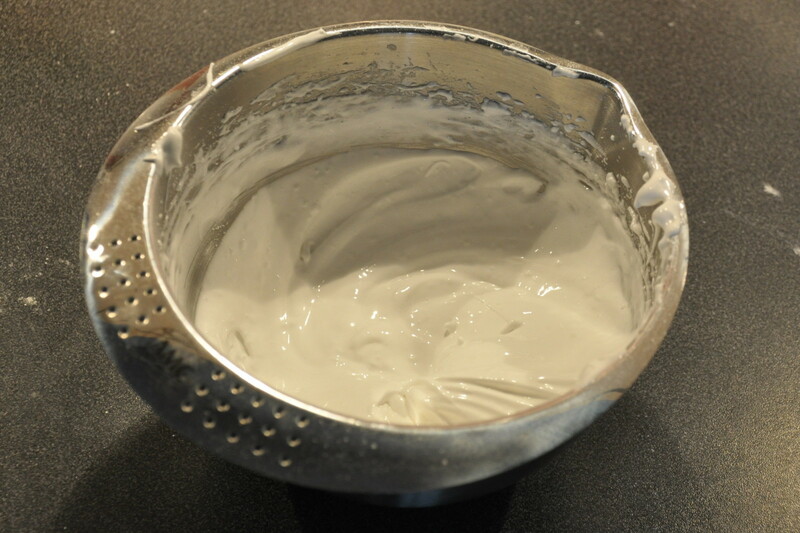 Putting this mix (actually the meringue) into the cold place helps to keep the structure. 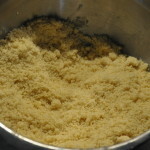 The dough is a so-called pate sablée, literally sandy dough. 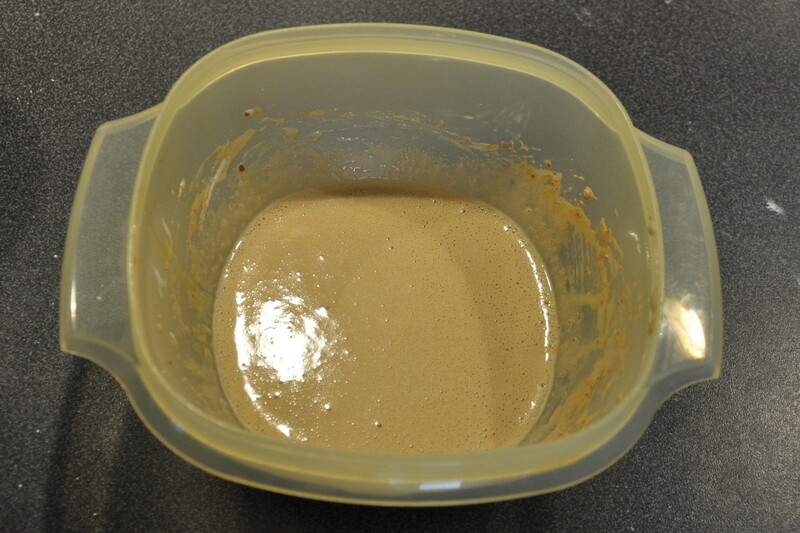 Before adding the liquid to the dough, touching it feels like beach-sand. 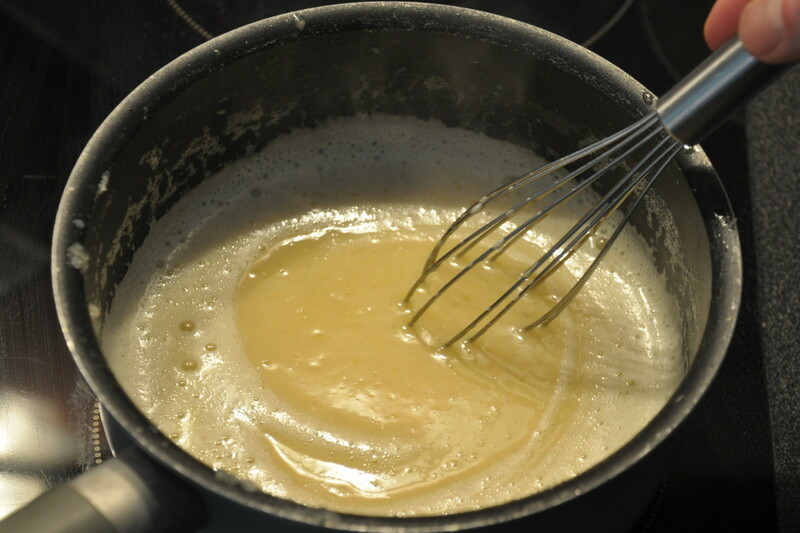 Start with whisking the egg yolks and the sugar with an electric egg-whisk until the mixture has become whitened. 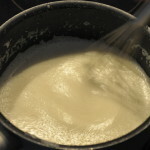 Add the water to help the mixture dissolve if it has gotten too gluey. 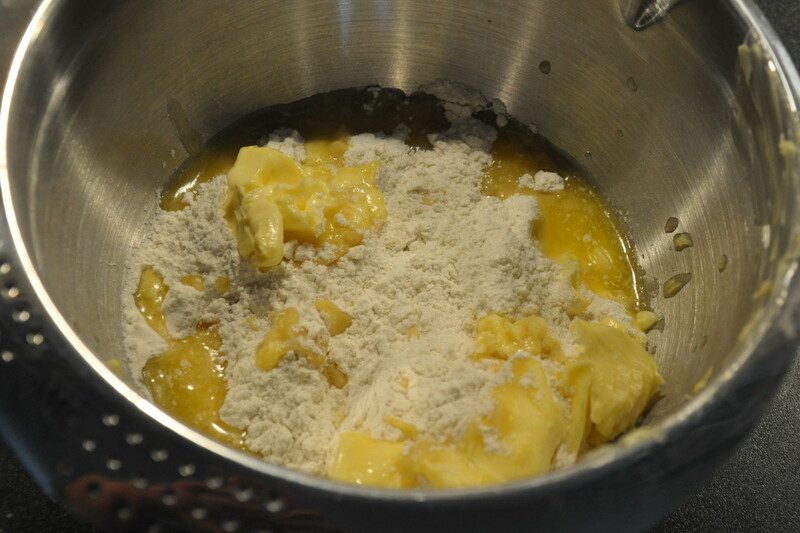 Cut the butter in small pieces, take off all the rings you might carry and mix by hand the flour and the butter. 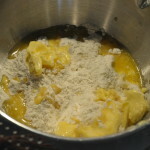 Using hands is important because the temperature is ideal to soften the butter. 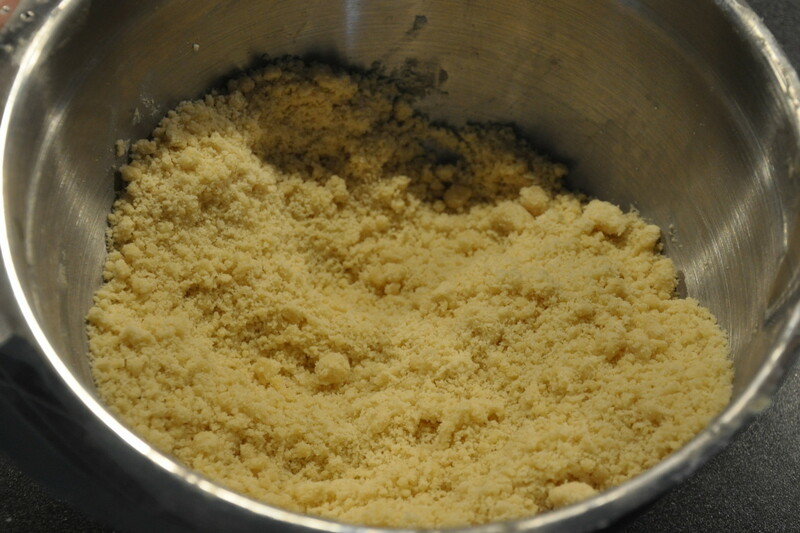 You’re done when the dough has become sandy and the butter has been completely absorbed by the flour. 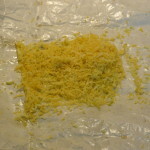 You can form small clumps which are easily scrunchable as a sign of completeness. 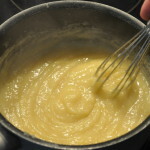 Now add the liquid egg-water-sugar and loosely stir it in without forming clumps. 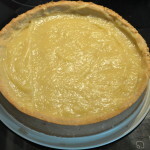 The original recipe advises to use a knife, I used a spoon. 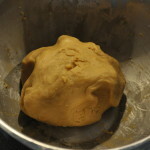 Now, again, with your hands, form a ball and knead 1 or 2 times to get a uniformed block. 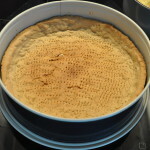 Take a backing pan of around 25 cm (or a tarte pan) in diameter and flatten out the dough inside. 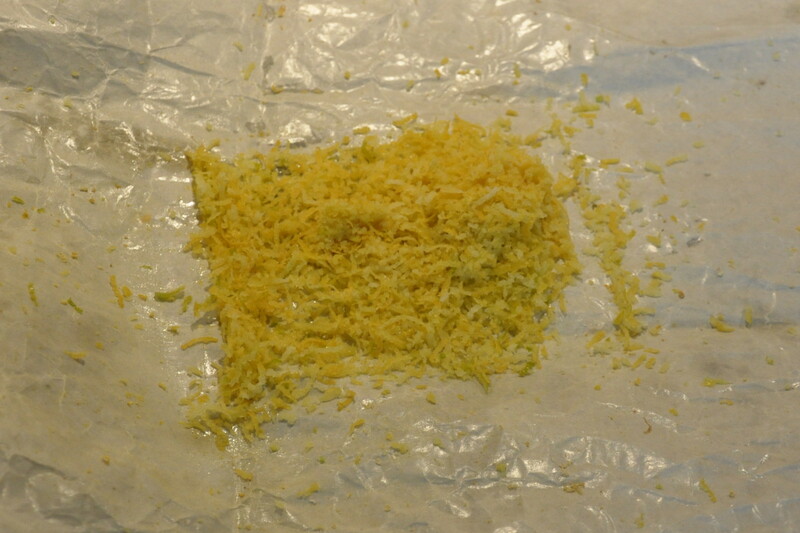 Create a border of around 3 cm height. 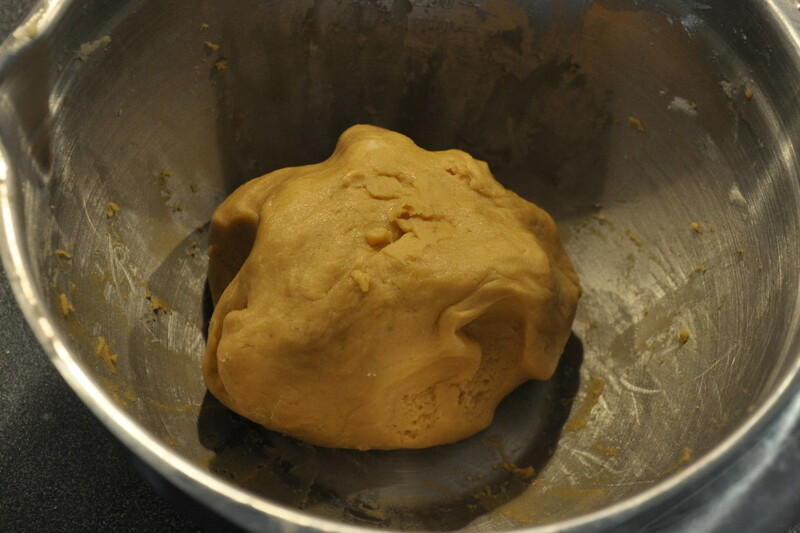 I do this by hand, otherwise I get uneven dissipation of dough. 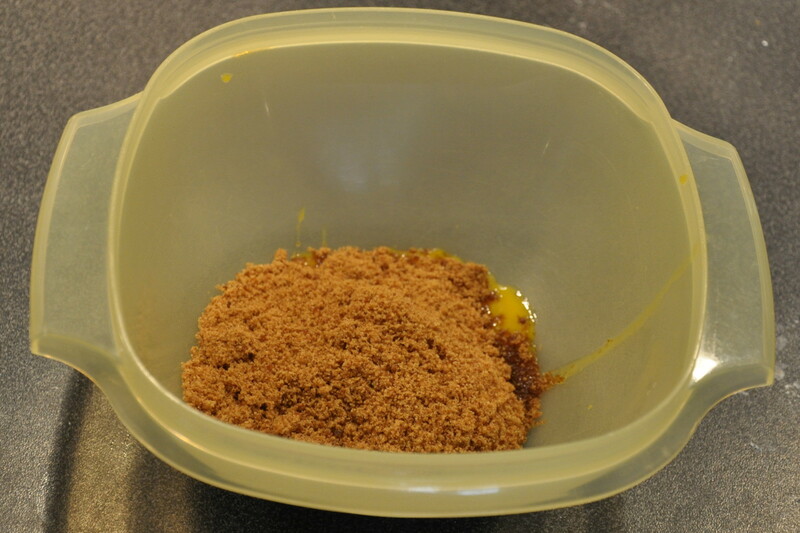 For cooking you can either use baking bean if you have. 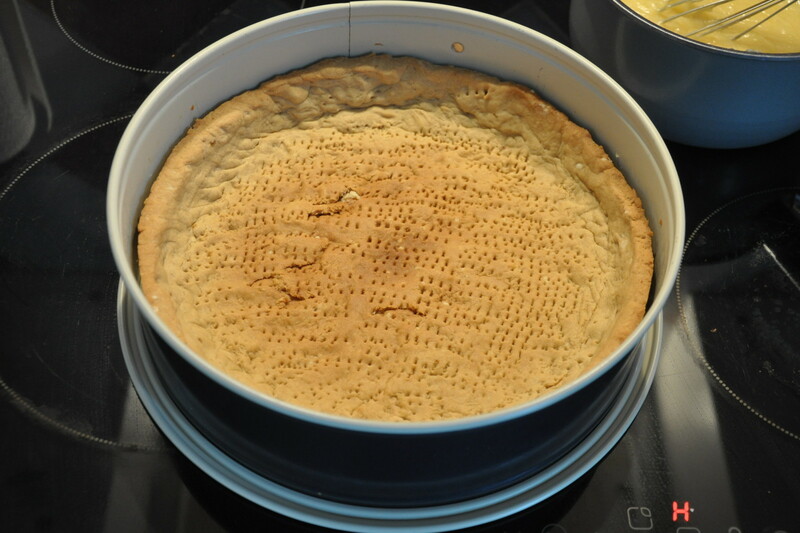 If you don’t use a fork and softly pierce all the area of the dough. 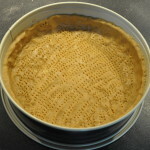 Both will avoid the dough to “come up” while backing. You want it to stay flat. 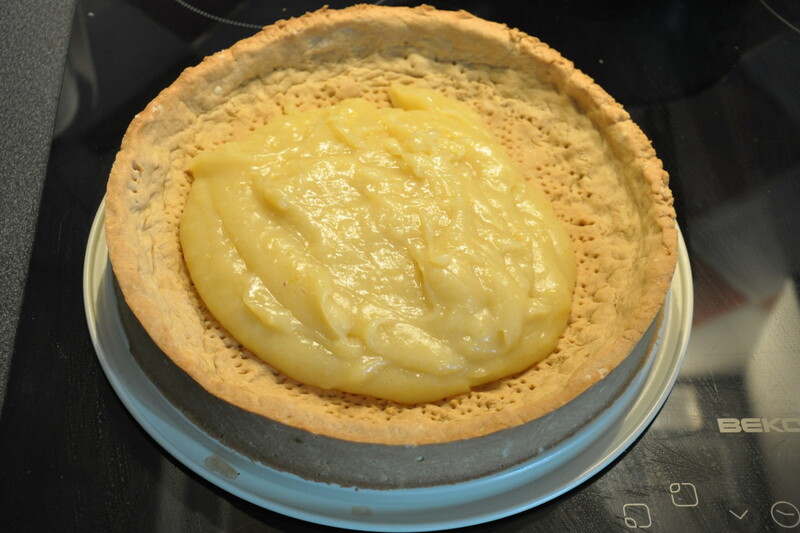 Now cook it for 20-25 minutes at 180 °C in a preheated oven. 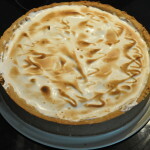 In the original recipe they tell you to leave on the oven afterwards at 120-150 °C, because they scorch the meringue in it. As I’m using a blow-torch, I turn off the oven. 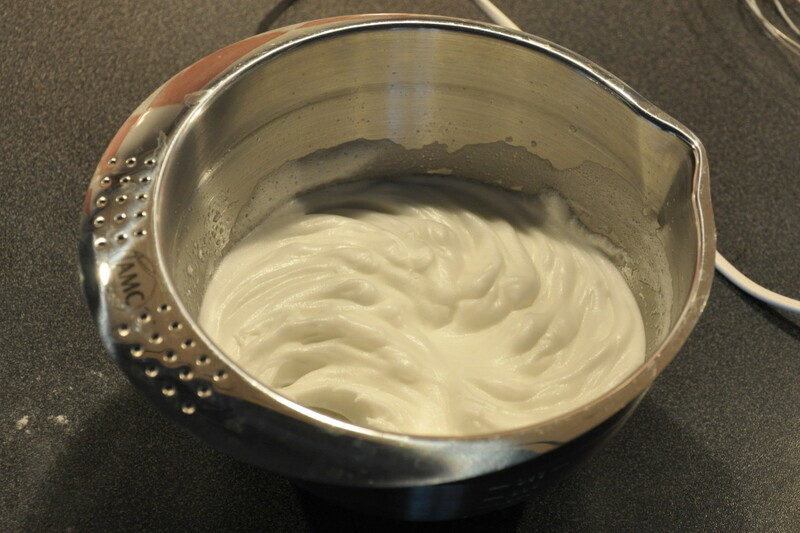 Even though it is called crème there is actually no cream at all. 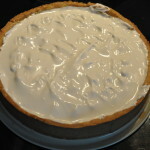 The word cream here is used to described the texture not the ingredients. 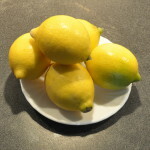 Clean the lemons and rub off the zest (the skin of the lemon) of 2 or maximum 3 lemons, the more you use of the skin the more the lemon taste you get – if you take too much it gets bitter and you might need more sugar. 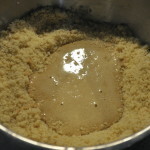 Careful not to harm the juicy inner part. 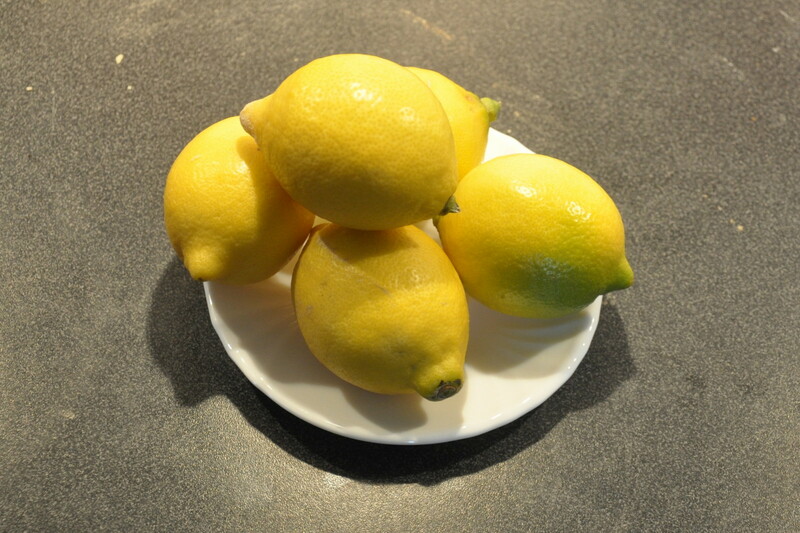 Squeeze out the juice of all lemons and put them in a small casserole. 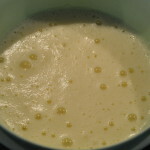 I used my immersion blender to make sure the zests are finely ground. 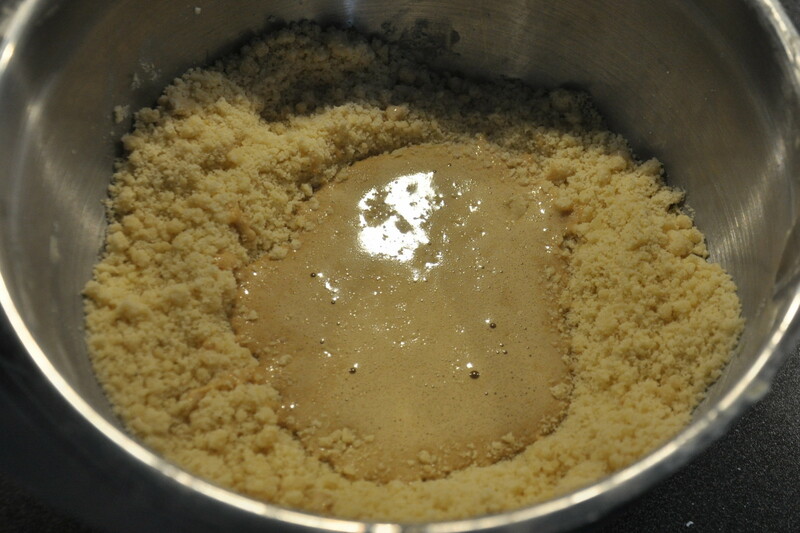 Add the sugar and the Maizena. 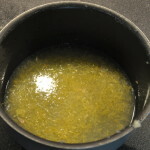 Now put the casserole on a stove and starting heating it with low temperature (level: 4/9). 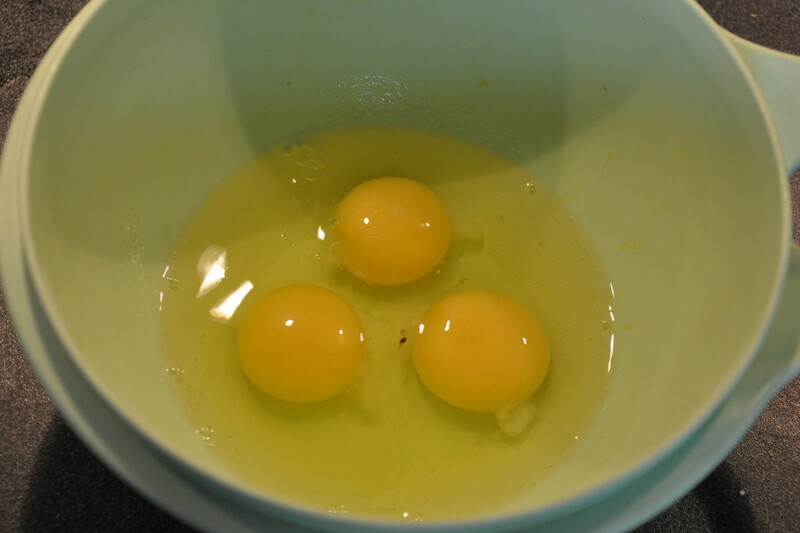 In the meantime batter the eggs (yolk and white) in a bowl. 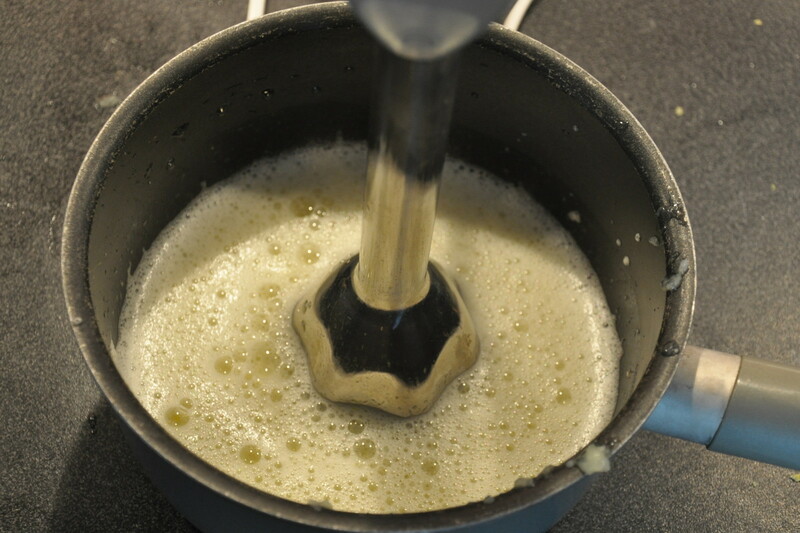 Do it as long as you can using the motorized egg-whisk. The more air you add to it the better. 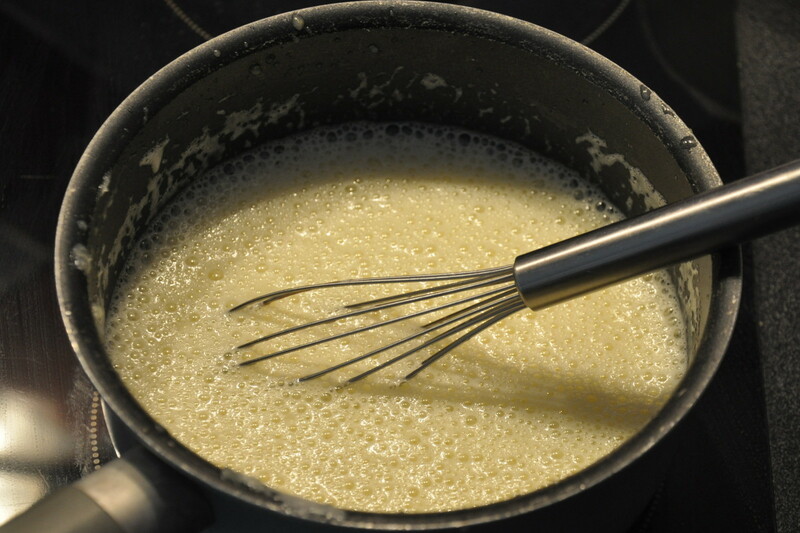 I do it until it almost is as fix as battered egg-whites. 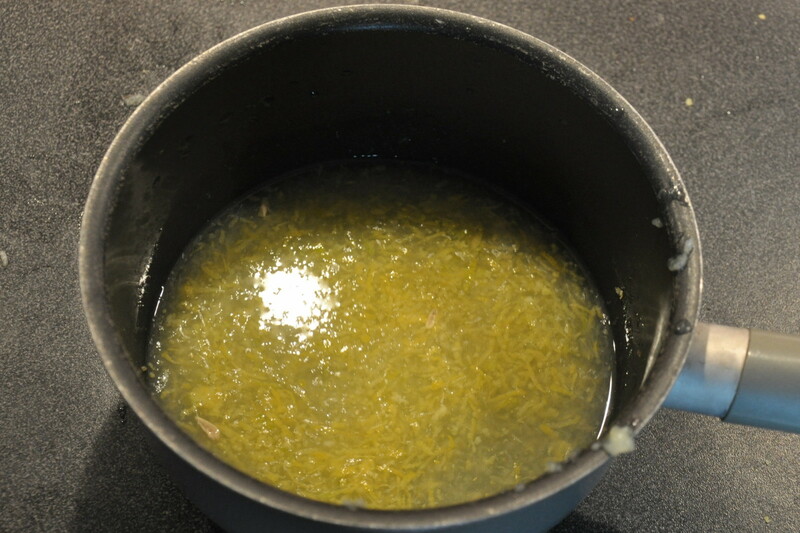 Add the eggs to the lemon-sugar-maizena-mix in the casserole and add more heat (level: 7/9). 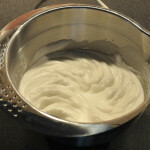 While the mix is heating up never cease to mix it with a manual egg whisk. 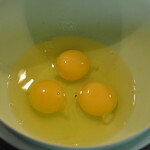 This avoids clumps. 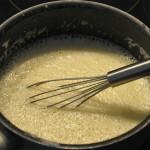 Once the mixture has reached a consistency of battered cream or like light dough and the foam of the eggs has complete gone (don’t panic, it will happen at some point in time), take it off the stove (and turn the stove off). 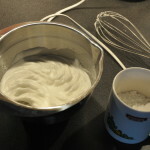 Whisk it from time to time until is has cooled down a little bit. 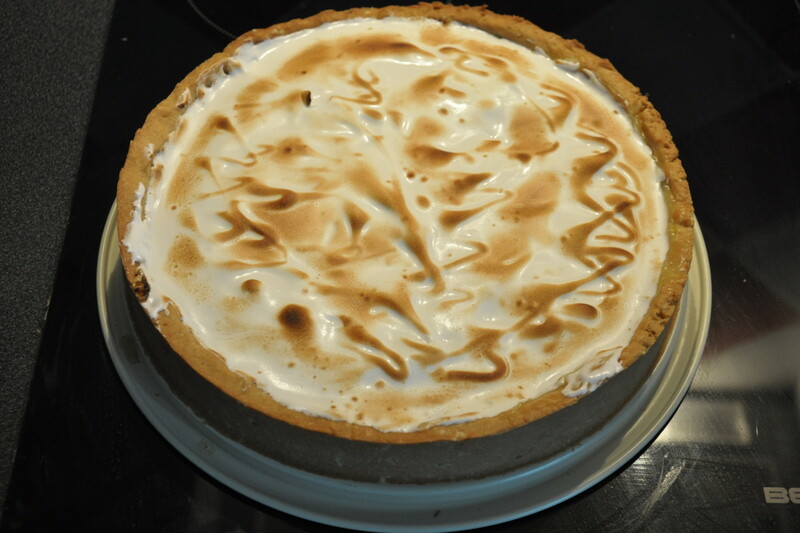 In my experience there is no need to wait long before the next and final step (except for the meringue). The hard part is done. 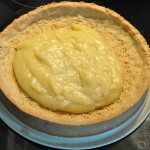 Finalizing the tarte is relatively easy. 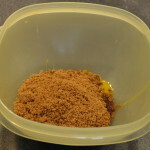 Wait for the baked sablée-base to cool down to room-temperature. 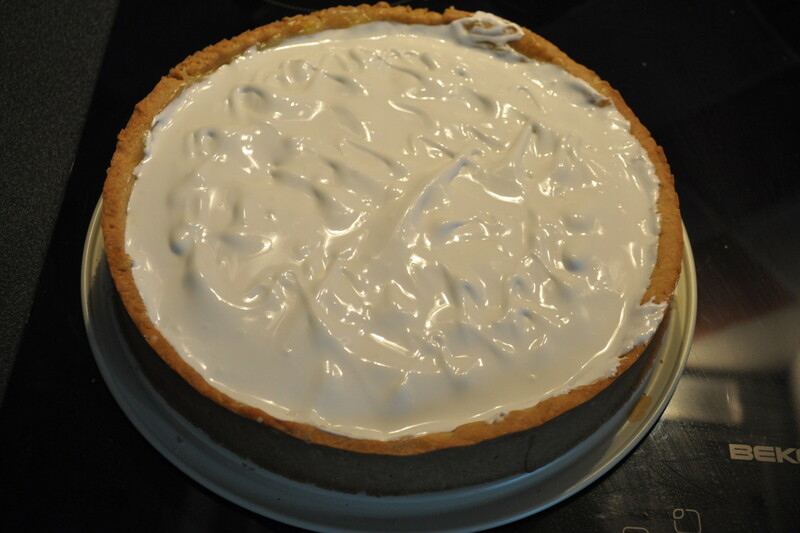 Get the meringue from the fridge and spread evenly as well. 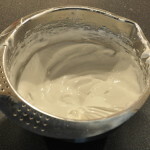 To get an uneven, more interesting top, you can use a spoon, slightly dip it in and pull it up. 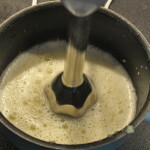 Use a blow torch (the one which can also be used to make créme brulée) to carefully burn the top. 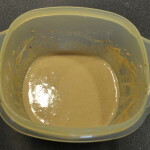 This gives you the brown pattern.